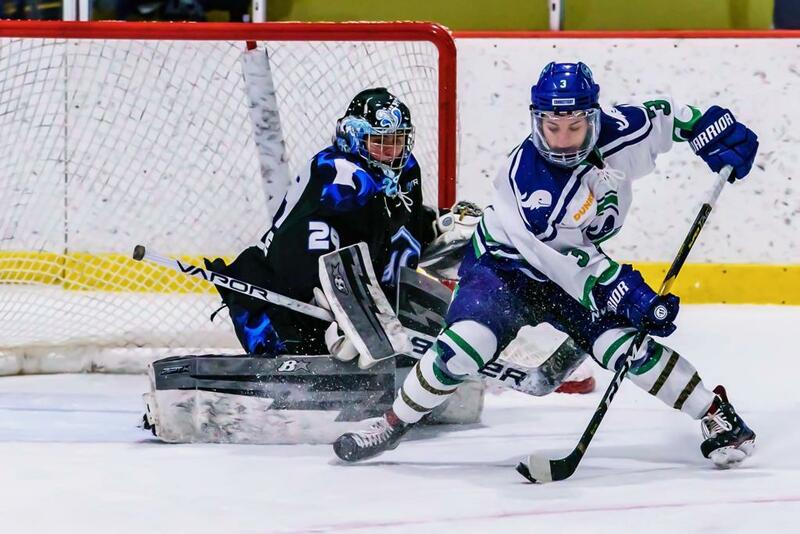 After falling 5-4 to the Boston Pride on Saturday night, the Minnesota Whitecaps rebounded with a 4-1 win over the Connecticut Whale on Sunday afternoon at Terry Conners Rink in Stamford. 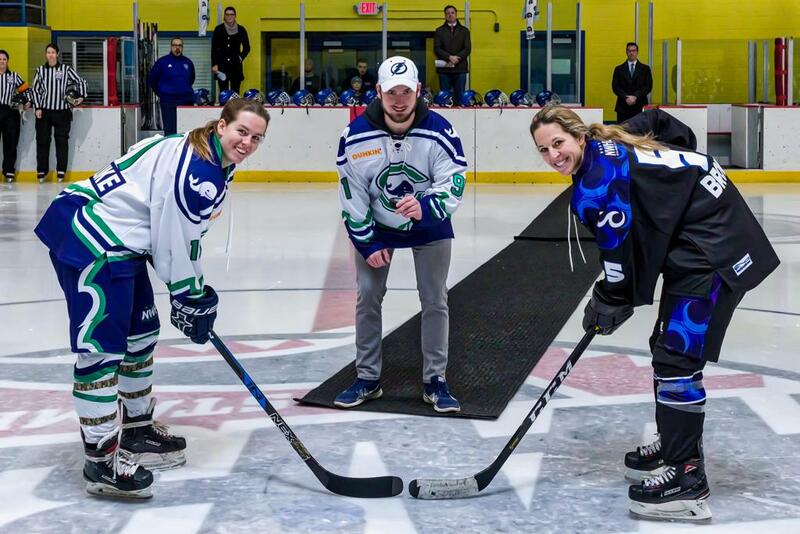 Chris Higgins, a naval veteran, performed the ceremonial puck drop for the Whale’s Military Appreciation Day. Amy Menke and Amanda Boulier each had a goal and two assists for Minnesota, while Hannah Brandt picked up a goal and a helper in the win as the Whitecaps improved to 8-4 on the season. In another high-scoring first period, Minnesota staked a 3-1 lead through the first 20 minutes. Jonna Curtis opened the scoring with her sixth of the season, coming own the right wing and sliding a puck under Connecticut goaltender Meeri Räisänen. Brandt then doubled the Whitecaps’ advantage at the 12:50 mark for her fourth of the season, putting away a low shot from the slot. A wild sequence ensued in the Minnesota zone in the latter half of the period, with goaltender Amanda Leveille losing her glove but sprawling out to make a series of saves before Michelle Löwenhielm fired a shot from the slot at 15:09 to make it a one-goal game. But the Whitecaps pushed the lead back to two 25 seconds later, with Boulier getting one of her own, ripping a shot from the point. After assisting on two of Minnesota’s first three goals, Menke then grabbed one of her own, getting a shot past Räisänen through traffic in front of the net at the 9:32 mark of the second period to give the Whitecaps a 4-1 lead. The Whale continued to push, particularly in the third, getting a number of good chances, including a shot that sailed just wide of the open right side of the net. Connecticut ended the game on with nearly four minutes of power play time, but couldn’t capitalize as Minnesota preserved the three-goal margin. These two teams will meet twice more next weekend in Minnesota, with the Whitecaps hosting the Whale for a pair of sold-out games at TRIA Rink at 6:30 PM CT/7:30 PM ET on Saturday and 2 PM CT/3 PM ET on Sunday.